Tony's Talking Pictures Blog: New on Blu-ray and DVD for March 27, 2018 "Star Wars: The Last Jedi"
New on Blu-ray and DVD for March 27, 2018 "Star Wars: The Last Jedi"
Having taken her first steps into the Jedi world, Rey joins Luke Skywalker on an adventure with Leia, Finn and Poe unlocking the mysteries of the Force and secrets of the past. Well it finally happened. “Star Wars: The Last Jedi” is a totally 'Disneyfied' film which many fans, including this one, are really upset about. The film simply is a mess from beginning to end with nothing new added to move the saga forward. "Star Wars: The Last Jedi" simply cannot connect the audience with an emotionally involving story. The film treats important reveals and plot twists with a kind of matter-of-fact lethargic attitude, making the whole film seem unimportant. And the promises that were made in the “Force Awakens” are poorly kept, as characters who were promoted to be pivotal become unimportant plot devices, important histories are swept under rugs and characters added as 'product placement' just to sell merchandise. “Star Wars: The Last Jedi” misses every mark. 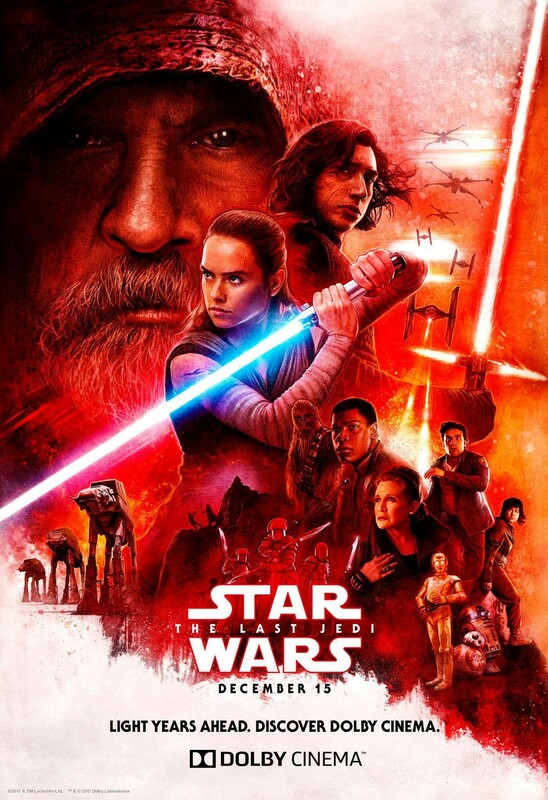 The film can not shake off its listlessness and lack of continuity to the other films in this franchise, making it the worst film in the 'Star 'Wars saga. In the end, this is not the “Star Wars” you are looking for. Move along, move along.